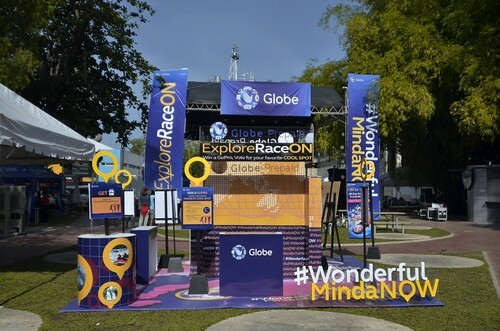 After the successful launch of #WonderfulMindaNOW last year, Globe Prepaid is now giving Mindanaoans more reasons to explore and discover the beauty of the region as it recently kicked off ExploreRACEOn at the Lifestyle District in Cagayan de Oro (CDO) City. 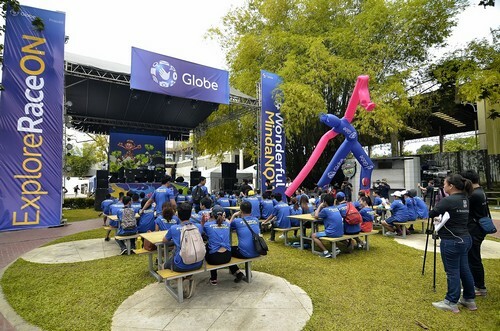 Using their mobile phones, more than 50 teams comprised of 3 Globe Prepaid customers each took the challenge of exploring the city and sharing what’s wonderful in every corner of CDO real-time via Globe Prepaid’s newest Mindanao-exclusive offer GoCall30Plus. With GoCall30Plus, Ka-Globe Mindanaoans can enjoy unlimited calls to Globe/TM for 3 days, and 30MB of all-day surfing for only P30, enabling prepaid customers to share the wonderful places and sports in Mindanao. “We introduced #WonderfulMindaNOW last year to empower the Mindanaoan youth to share cool spots in the region and share the beauty of Mindanao to the rest of the world. This time, we want our Ka-Globe Mindanaoans to take on the ExploreRACEOn Challenge and tour around the coolest spots in Mindanao using our newest Mindanao-exclusive prepaid offer GoCall30Plus”, says Raymond Policarpio, Head for Globe Prepaid and Brand Management Portfolio. ExploreRACEOn participants went on an epic adventure with exciting activities and challenges set by Mystery Manila in 11 interesting pit stops within the city, which included Chingkeetea as the top cool spot during the #WonderfulMindaNOW Awards last year. After hours of physical and mental challenges, Explore Race On participants were treated to an after-party. Four teams including Med and Friend, Mansoft, CYF CDO and Modgang qualified to represent CDO at the final race in Davao on March 21, 2015 where they can also get a chance to win over P150, 000 worth of cash and gadgets. To know more about ExploreRACEOn Challenge, visit www.wonderfulmindanow.com.